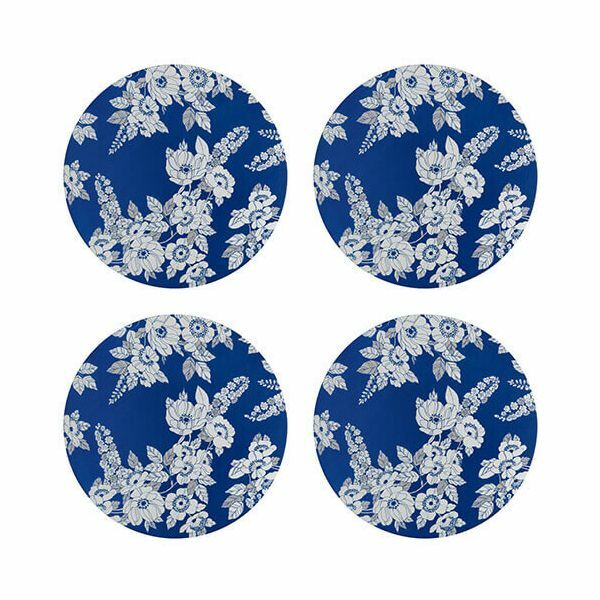 Protect your table from hot plates with the Monsoon Fleur Set Of Four Placemats from Denby. A striking Cobalt Blue background is covered in stunning fine line work and shimmering silver detailing. The inspiration for the Monsoon Fleur collection comes from a pattern found in the Monsoon fabric archive which has been given a modern contemporary twist. These Tablemats have a wipe clean surface and a diameter of 30.5cm. These bring a pop of colour to the kitchen table they are a large size and the flowers are quite delicate.